Shannon Parsley, a native Texan, is currently a Ballet Mistress with Boston Ballet after having taught in the school and performed as a dancer in the Company. She began her dancing career with the Fort Worth Ballet, followed by the Miami City Ballet where she was promoted to soloist in 2001. 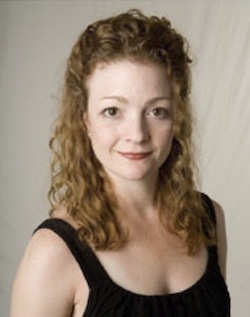 Ms. Parsley joined Boston Ballet in 2002 while continuing to dance as a soloist with the Suzanne Farrell Ballet. Some of her many principal and soloist roles include Balanchine's Emeralds, Who Cares?, Agon, Duo Concertant, La Source, Divertimento #15, Apollo and the revival of Divertimento Brillante. In addition to Ms. Parsley's vast Balanchine repertoire, she has also performed works by Sir Frederick Ashton, Paul Taylor, Mark Morris, Marius Petipa, and Rudolph Nureyev (Giselle, Myrta). In 2004, she danced at the Kennedy Center Honors in recognition of Suzanne Farrell. She has also appeared as a guest artist with Angel Corella in Cadiz, Spain. In 2005, Ms. Parsley traveled to Edinburgh, Scotland with the Suzanne Farrell Ballet to dance leading roles in Balanchine's Don Quixote, as well as stage the children in the production. She was invited by the Balanchine Trust to stage Serenade for the North Carolina School of the Arts. Ms. Parsley has also assisted on the staging of the children for the 2006-2007 Boston Ballet production of A Midsummer Night's Dream and the staging for the 2007-2008 Boston Ballet production of Concerto Barocco.